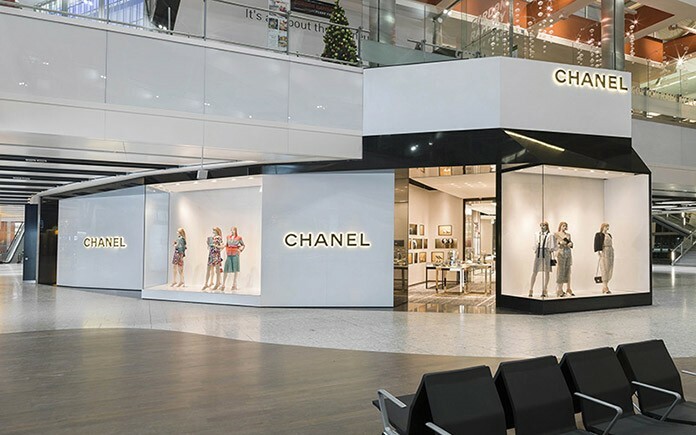 CHANEL has opened a new fashion boutique at Heathrow in Terminal 5; this is the second airport boutique for the House in the UK, complimenting the existing store at Terminal 3. The 288 square meter space was conceived by New York-based architect Peter Marino, who designs CHANEL boutiques worldwide. The interior takes inspiration from the hallowed apartment of Mademoiselle Chanel on rue Cambon, while maintaining a modern and intimate feel. 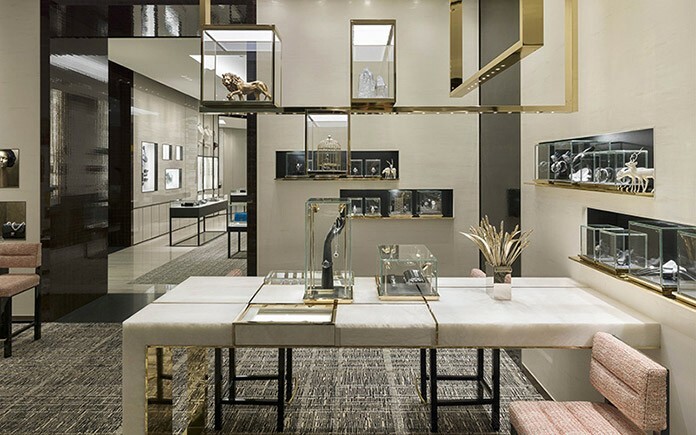 In the UK, Marino has most recently transformed the London flagships for Watches and Fine Jewellery (2015) and Fashion (2013), both on Bond Street. The boutique will present a selection of Ready-to-Wear and accessories from all six of Karl Lagerfeld’s Ready-to-Wear collections for CHANEL. The facetted design of the boutique façade ensures the space is filled with light. On entering the boutique, the visitor’s attention is immediately drawn to a selection of CHANEL watches – including models from the J12 and Première range. Immediately ahead is an inviting room with a handbag bar which provides a beautiful and refined area for iconic pieces and the latest editions. High stools in richly textured tweed provide ample seating. Opposite the handbag bar, the visitor will discover dedicated areas for small leather goods, costume jewellery, ties and scarves. A window at the end of this salon affords far reaching views of the runway beyond. 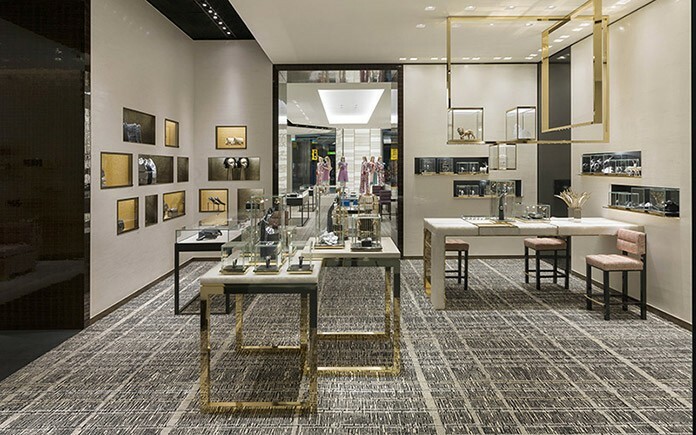 Returning to the atrium, visitors will find a second salon featuring gold walls of embossed wallpaper dedicated to Ready-to-Wear and shoes, furnished with a black iron console by Christophe Come. There is also a cosy fitting room with a specially commissioned artwork depicting an abstract camellia design by Peter Dayton. At the time of opening the Cruise and the Autumn Winter 2015/16 collection will be on display.